Now is about the mid-point of our one year stay here in Rødøy. In a Dilbert-like fashion, I say, it’s time for the mid-year review to summarize our accomplishments and areas for future improvement. We love it here. Even with the last two dark months and a gale every week. We love the stunning scenery, the rugged isolation, togetherness of our family, catching and eating fish, and northern lights. Kristin loves her job. The children love their freedom. Last week I took Marcus and Nora hiking separately on their respective daddy days in Eventyrskogen (fairytale forest) up to the troll door, a gigantic wooden door attached to a cliff. How they glowed with happiness! Personally, I love having an abundance of free time during which I brushed up dusty hobbies like photography, writing, and programming. We love our house on a hilltop with its open vistas, fireplace, cozy dining room, comfortable sofas. Even the old kitchen without a dishwasher is charming. 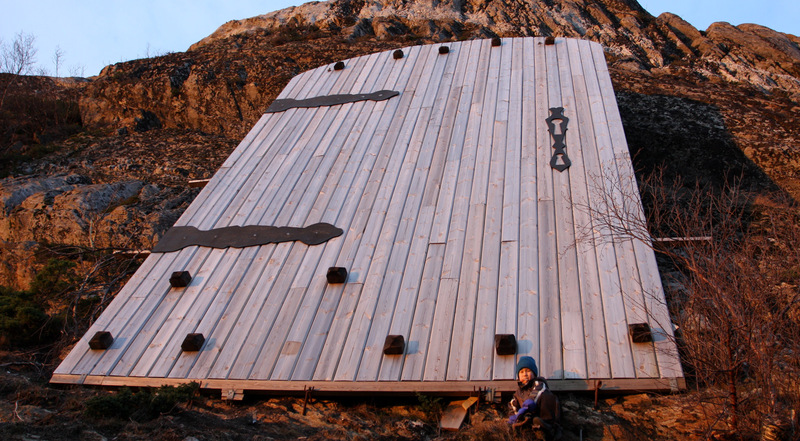 But most of all, we love the people in Rødøy. In their quiet and unassuming ways, they have embraced a family of strangers, city people, who came to their beloved island only for an one-year hiatus from their normal life. They have invited us into their homes, cared for our children, taken us out fishing, let us use their boats, given us all kinds of things: bikes, clothes, curtains, fish… We have no hope to ever repay our debt. This is before the spring, and the summer of midnight sun. So the overall rating of the mid-year review? Outstanding. 10 out of 10. It’s been everything that our most optimistic imagination could conjure and more. We couldn’t be happier with our decision to take this year off, and our decision to do it here in Rødøy. Sorry HR department: it’s impossible to improve perfection. Thanks Ellen! I’m always glad to hear your voice in our blog. Happy days! – It’s sounds amazing, I read the first three paragraphs waiting for the “but” –incredibly it never came, that’s surprising but encouraging. I especially like the idea of the “daddy days” Here’s to a great next 6 months. Thanks Paul. It’s very astute of you to notice. When I started this post, I was thinking of a good/bad list. I was thinking of the “buts”. This way of thinking is so ingrained in many of us. Nothing is perfect, right? Everything can be improved, right? There must be something bad about Rødøy, right? Human induced global warming is widely accepted to be true, but they ARE nut-case-skeptics in the scientific community! As I wrote this post, I realized this. Of course they are “buts”, but they’re so insignificant that merely pointing them out would paint a distorted picture. Just like the last paragraph about the skeptics in a news article about global warming ultimately paint a distorted picture. Umm – don’t know where this analogy would take us. I’ll pass on the raise, and if the HR department can swing it, I’ll take eternal bliss instead for my accomplishments. I’m so happy to read this. I remember Winston telling me that you had doubts (even a crisis!) right up to the very last minute, about whether to go. It really shows that with the right attitude, a new adventure and a fresh perspective can be hugely life affirming. I’m proud of you guys for showing the courage to make this choice, and then all 4 of you throwing yourself into it with gusto. It’s quite an inspiration. Thanks Don. Just remember — you took more than 2 years off. You’re still ahead. I was also expecting a “On the down side” paragraph. It sounds so reaffirming that we all may be sunk in our wrongs in the corporate world. You and family are proving the virtue of back to purity for us. Enjoy the second half. Voice Dream Reader is a text-to-speech app for iPhone and iPad. You can listen to documents, articles, and books anywhere: on your commute or in the gym. For students and adults with difficulties reading visually, it's a life changer. 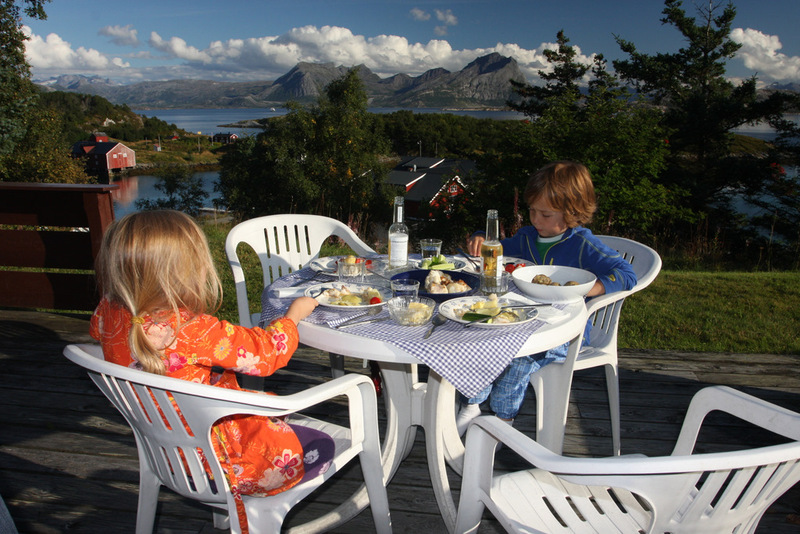 This blog is about a Boston family’s one-year adventure living on an small island in the north of Norway. The name of the island is Rødøy and it is just above the Arctic Circle. Winston was an executive at a software company in Boston. Now, he is learning how to salt and smoke fish. His wife Kristin is a native of Norway and lived in Oslo before she moved to America 10 years ago. She's now teaching grades 1-4 at Rødøy school. Their children Marcus and Nora are 6 and 4 years old.